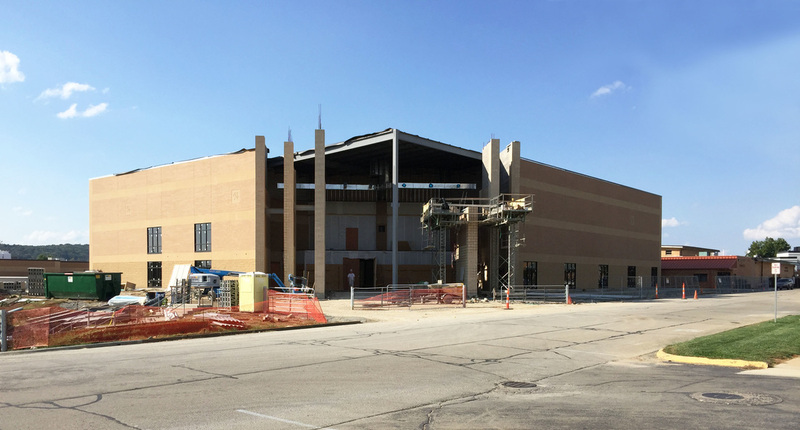 With the completion of the new Menards Mega Store and its opening here last week in town, some local sidewalk engineers who like to follow new building projects are now turning their attention to two other works now under construction. One will be the new Goodwill store which is located nest door to the Panera restaurant, and the other is the new Farmington public school gymnasium. The Goodwill project is expected to be completed sometime during the first months of 2017— perhaps as early as January. This store will closely resemble two other new Goodwill stores in Sikeston and in Springfield. The local store manager, Jerri, said that while the new facility here will probably not add any new departments, she is certain that all of the current departments in the store will be enlarged along with more space for shoppers. Moreover, she believes that more parking spaces will be available. Currently, shoppers at the present store often have difficulty finding parking spaces on busy days. “Even the spaces behind our store now are usually filled along with all spaces in front of the building, she said." The new building should ease this problem, she added. ​ The new gymnasium will be a big improvement over the current one, which many considered it be too small when it was first opened in the early 1960s. Seating space in this new facility, at 1,600, should solve this problem for at least the near-term future. This new building, costing an estimated $8,547,000 (which also includes costs of new band and science rooms) will represent a major expansion of the FHS campus. Some sources at the high school believe that the gum will be ready for use in time for the first basketball games before the end of this year. The Farmington Post(Note)-Dispatch hopes to add interior photos of the project in the near future.